Agents can be a help — or a hindrance — in the buying and selling journey. Here are some things to know before you hire one. Buying or selling a home is likely the biggest financial transaction you’ll ever complete. Real estate agents can guide you through the process, but hire the wrong one, and you could lose precious time and money. As with any profession, there are top-notch real estate agents who do things by the book and lackluster ones who cut corners. To avoid a bad experience, you need to do some research and ask a lot of questions. Learn these lessons now to help you make better decisions later. In some states, the same real estate agent can represent both the buyer and the seller in a transaction. It’s called dual agency, and while it may speed things up by allowing buyers and sellers to communicate with the same agent, it also can invite serious conflicts of interest. Think about it: Buyers and sellers rarely have the same goals for a deal, so how can one agent do what’s best for both? When they disclose dual agency, as required by law, agents should carefully explain what you’ll forfeit by agreeing to it, says Richard Harty, an exclusive buyer’s agent and co-owner of Harty Realty Group in Highland Park, Illinois. If you don’t ask and a dishonest agent doesn’t tell, you may unknowingly give up your agent’s undivided loyalty and the expectation that they’ll point out issues with the property or contract — both big reasons for buyers and sellers to each have their own agent in the first place. Agents typically look at recent sales of similar homes and give you their opinion of your home’s value based on experience, but that alone shouldn’t decide your asking price. A deceitful agent might exaggerate the value if they think it will convince the homeowner to sign a listing agreement, or understate it if they think it means a quick sale, says Doug Miller, a real estate attorney in the Minneapolis area and executive director of Consumer Advocates in American Real Estate, a national nonprofit organization. A professional real estate appraiser can provide the most accurate estimate of home value. Although it may cost around $300 or $400, getting an appraisal before you put your house on the market can help you set a realistic price. Listing agents may expect you to accept their commission — generally around 6% of the sale price — without question, but you certainly don’t have to. Although it may be uncomfortable, negotiating the commission rate is completely within your rights, and you should discuss it before signing any kind of contract. Start by asking specific questions about how much will go directly to your agent and the level of service you can expect in exchange for said commission. When negotiating, it’s important to know that listing agents typically split the commission with the buyer’s agent. They may each have to pay a part of the resulting commission to their brokerage firm, as well. Although some listing agents insist open houses are vital, the statistics tell another story: In 2017, only 7% of buyers found their new home at an open house or from a yard sign, according to a National Association of Realtors (NAR) survey. Buyers who schedule showings are almost always financially vetted, Bill Gasset, a Realtor at Re/Max Executive Realty in Hopkinton, Massachusetts, said in an email. Open house shoppers, on the other hand, may not yet be preapproved by a lender. Ultimately, the choice to have an open house is yours alone. Weigh the risks versus rewards carefully before you decide. Attending an open house as a buyer is a good way to get roped into dual agency, thanks to a NAR policy about "procuring cause," Miller says — in effect, who caused you to procure the home. The rule says the agent who first introduces you to your future home is entitled to the full commission. If you view an open house and decide to make an offer, the listing agent can take credit for your interest. “Without any warning to you, you have just forfeited your right to hire your own agent and negotiate her fee,” Miller says. Avoid crossing over this imaginary line by being careful about how you engage with an open house agent. Don’t provide your name, sign any documentation or discuss your opinion of the house with the listing agent unless you have to, Miller says. If you really like an open house, leave and find a buyer’s agent who can help you make an offer. A home inspector, real estate attorney, title company or other service provider suggested by your agent isn’t always the best or most affordable option. Their recommended provider may be an acquaintance, or in some cases, willing to provide the agent with an incentive for that referral. Consumers should interview several potential providers and make their own decision about whom to hire, Harty says. To avoid working with the wrong agent, don’t hire the first one you talk to, even if they’re a “friend of a friend.” Take these steps to control the situation from the very beginning. Interview multiple real estate agents. Ask each candidate how they plan to help you buy or sell at the best possible price. Always request references, look at a list of their recent transactions and ask if they’re willing to negotiate their commission. See more tips for choosing the right real estate agent. Hire for the exact skills you need. Even though they’re able to do both the buying and selling sides of a transaction, many agents specialize in one side or the other. Use this to your advantage. If you’re buying, find a buyer’s agent who’ll take the time to help you find exactly what you’re looking for. If you’re selling, look for a listing agent who has a history of fetching a good price and closing on schedule. Get a real estate attorney involved. 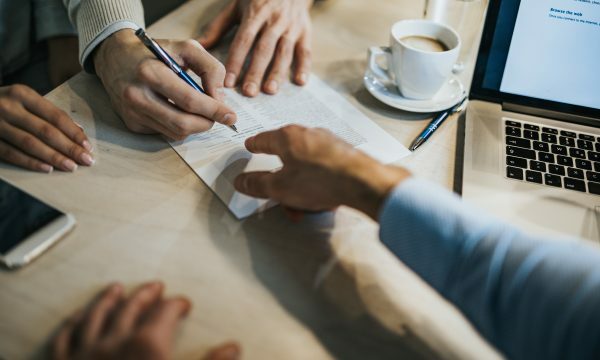 Though not always required by state law, having an independent attorney review all agreements and contracts can be a smart move. Unlike agents, real estate attorneys can legally offer advice on all parts of the purchase agreement, Miller says.